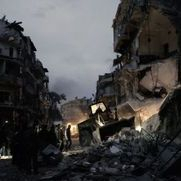 EXCLUSIVE: PROPHECY OF ISAIAH 17: SHOCKING AND DISTURBING IMAGES OF CITIES IN WAR TORN SYRIA! 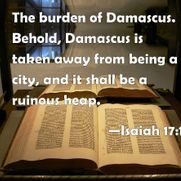 What we see taking place in Syria today is only one of many prophecies unfolding before our very own eyes. God declares in the Bible that no man will be able to stand before God with excuses! Today is the day of Salvation my family and friends…….TODAY! Even so, Lord come quickly! Click Here To Learn More About the Prophecy of Isaiah 17 Which Is In the Process of Fulfillment! 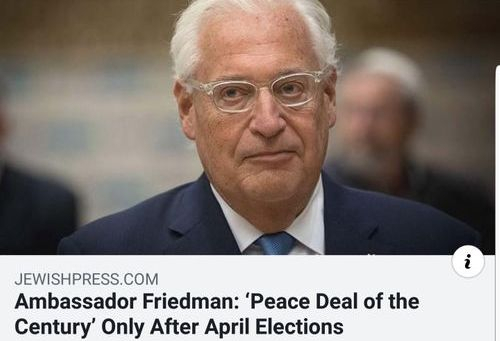 As you might already know, the Middle East Peace Process has to do with the coming Peace Treaty between Israel and her Arab neighbors that will be brokered or "confirmed" by the Antichrist. 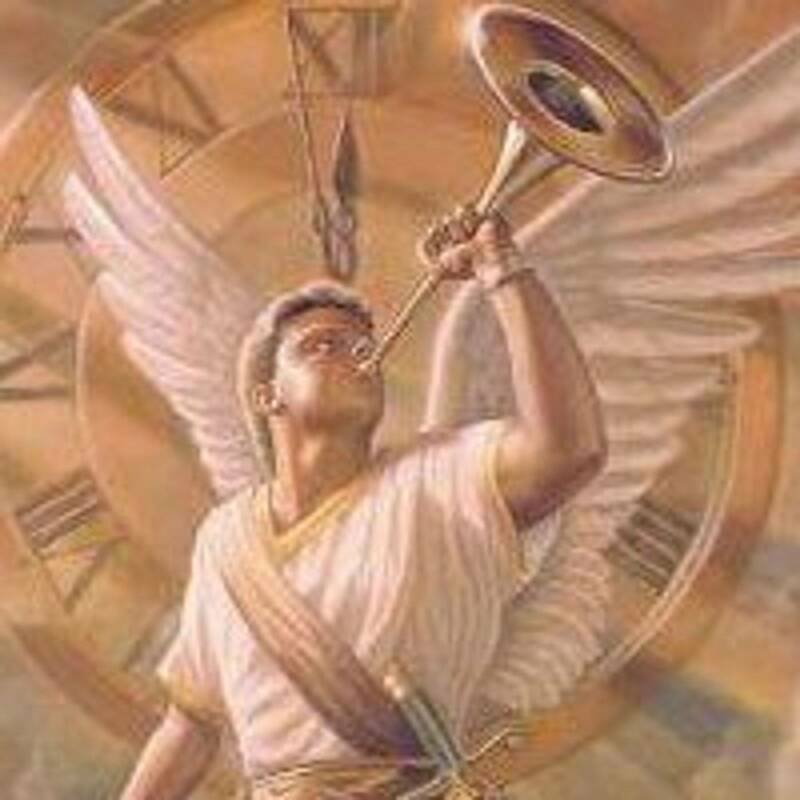 (Daniel 9:27) It will usher in the final 7 year tribulation period. Below are recent news concerning this Peace Deal. 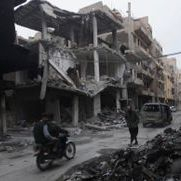 "The American peace plan will probably be publicized only after the Israeli elections, April 9, 2019, according to US ambassador to Israel David Friedman, who hinted as much on Saturday during a briefing for US journalists accompanying the visiting National Security Advisor John Bolton, Makor Rishon reported"
The Nascent Sanhedrin is calling on Russian President Vladmir Putin and US president-elect Donald Trump to join forces and fulfill their Biblically-mandated roles by rebuilding the Jewish Temple in Jerusalem. Rabbi Hillel Weiss, spokesman for the Sanhedrin, contacted Breaking Israel News to announce that the election of Trump, who has promised to recognize Jerusalem as the capital of Israel, coupled with Putin’s expressed desire for the Temple to be rebuilt, prompted the Jewish court to send a letter offering the two the opportunity to act as modern-day Cyrus figures: non-Jewish kings who recognize the importance of Israel and the Temple. EXCLUSIVE: Architectural Plans For Third Temple Have Begun! 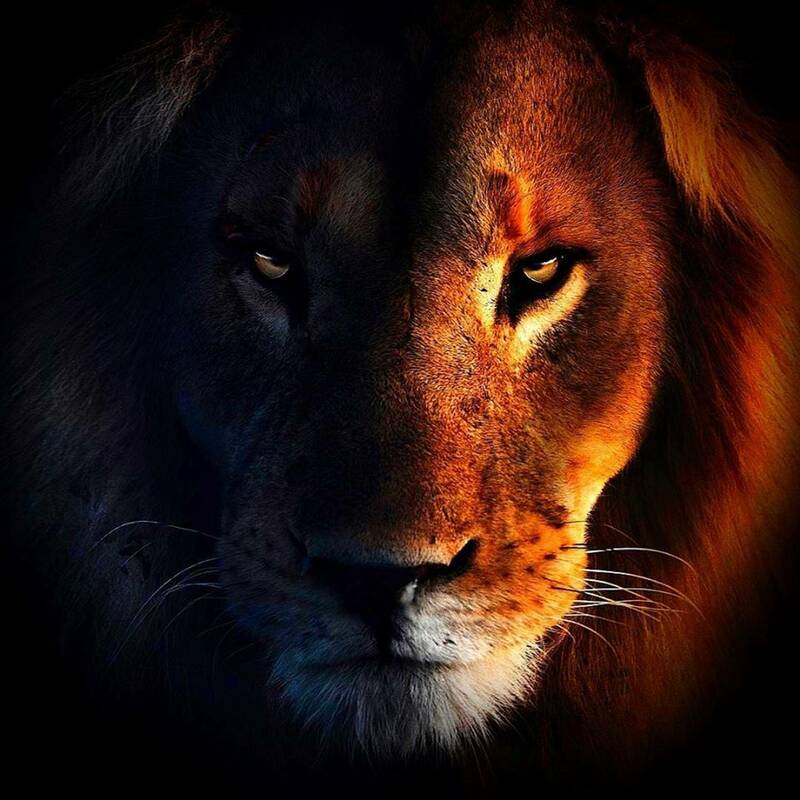 EXCLUSIVE: MAJOR PROPHETIC NEWS - WATCH VIDEO BELOW!